Thought to have originated in the Martock-Kingsbury area of Somerset in the mid-19th Century. Believed to have been named after a Mr Dabinett. Possibly a seedling of Chisel Jersey. This variety crops regularly. Fruits have slightly crisp flesh with a sweet, astringent, strong fruity flavour when ripe. 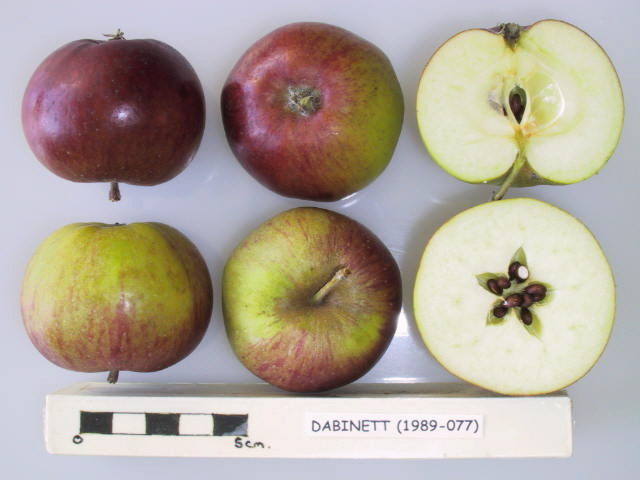 Dabinett is weak grower producing a small and spreading tree. A bittersweet variety that produces a soft, full-bodied, high quality cider.